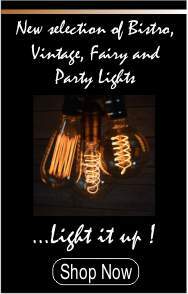 Ideal for decorating a backyard party or outdoor wedding reception. 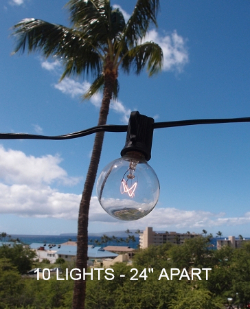 Each socket has a 24" inch spacing between bulbs. 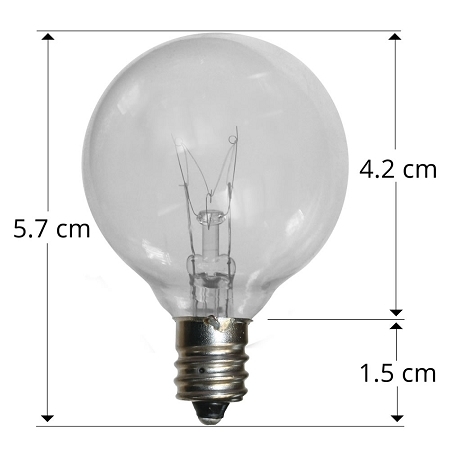 Each C7 socket comes with a 5 watt clear bulb, each bulb is 1" in diameter. 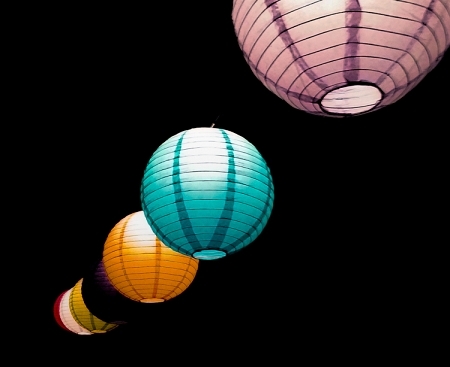 Looks great with 12", 14", 16", and 18" lanterns. 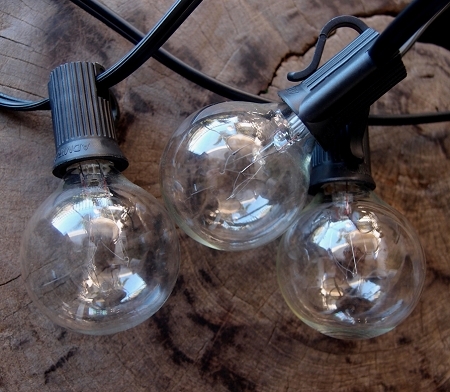 This string can be used for indoors or dry outdoor use, connect up to 3 sets of these lights together. 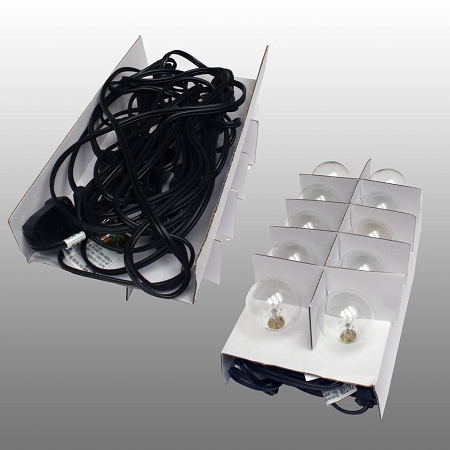 Set includes 10 5 watt C7 Candelabra Base light bulbs.